Delicious Kaddu ki sabzi is one of the popular recipe from North-India. This is Sweet & Spicy pumpkin curry which is easy to cook, simple but very tasty. This dish is best to have with pooris, roti and goes very well with ajwain paratha also. This dish is prepared in navratri times also...during fasting !! This is also called "Pethe ki Sabzi". This recipe is prepared with yellow pumpkin and other delicious ingredients. This is healthy too. This kaddu ki sabzi is really easy and simple, just only cut and peel the pumpkin which takes some effort and time..but the result becomes sweet and spicy which matches their name of the dish :) I paired this kaddu ki sabzi with jeera aloo and the combo was nice. Me and my family members loved this dish and can make many times. 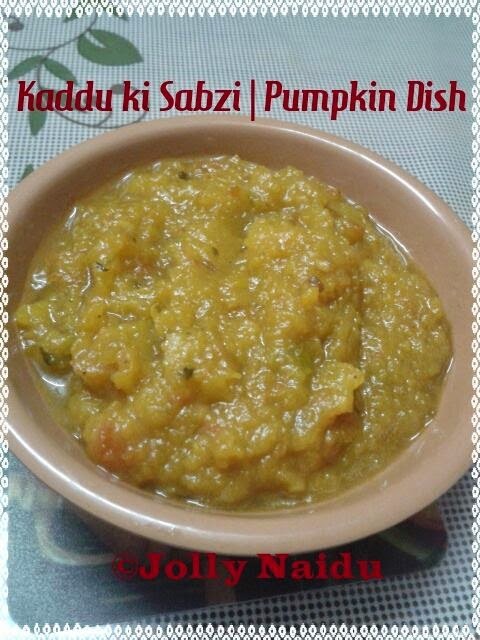 A simple punjabi Kaddu ki Sabzi recipe without the use of many spices. We simply love this recipe in its simplicity and taste. I have learned this recipe from my dadi(grandmother) who cooks excellent Punjabi food. 1. Peel and chop the pumpkin. 2. Heat oil in a pressure cooker, add the fenugreek seeds, chopped green chillies and cumin seeds and fry for a minute on a low flame. 3. Add the chopped pumpkin, tomatoes and add all the dry spice powders except garam masala and dry mango powder. 4. Add the sugar, mix the pumpkin with the rest of the spices. Add water and salt. 5. Cover the pressure cooker with a lid and pressure cook for 1 whistle on a high flame and reduce the flame for 10 minutes till they become soft and mushy. 6. 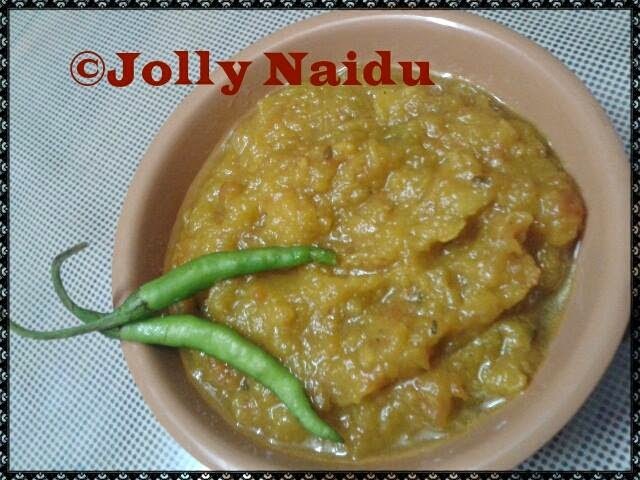 Now open the cooker mash the cooked and soft pumpkin with a spoon and add the garam masala and dry mango powder. 7. Stir the mashed pumpkin well and cook for minute or two. *Note* - If the sabzi still looks watery to you, then dry the water from the sabzi by cooking it without the lid. The sabzi should not be dry nor watery, just in between. 8. Garnish with coriander leaves and Serve kaddu ki sabzi hot with pooris, roti and with Lachha paratha also. Thank you so much dear Kushi !! The simplicity of this recipe is its uniqueness . I am loving the flavours going on in this this. Pure and delicious.